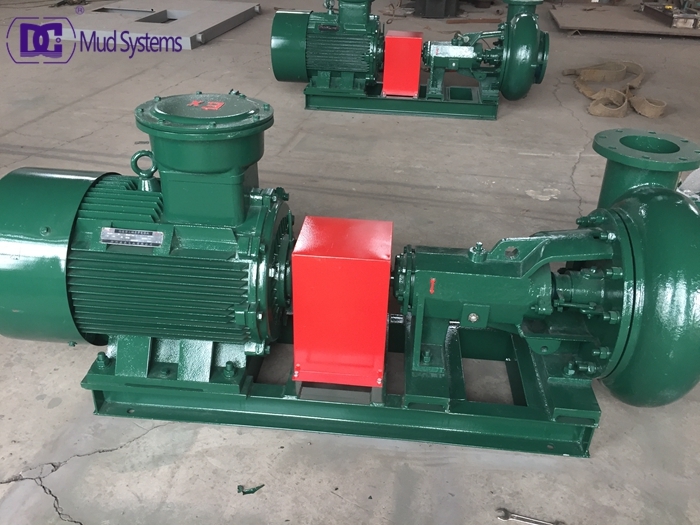 Horizontal sand pump is an important equipment in oil rig mud cycling system, be able to deliver corrodive drilling fluid(with suspended particulates) or other liquid media under similar work condition. DC Solid control shipped 9 sets sand pumps for a India drilling contract company. 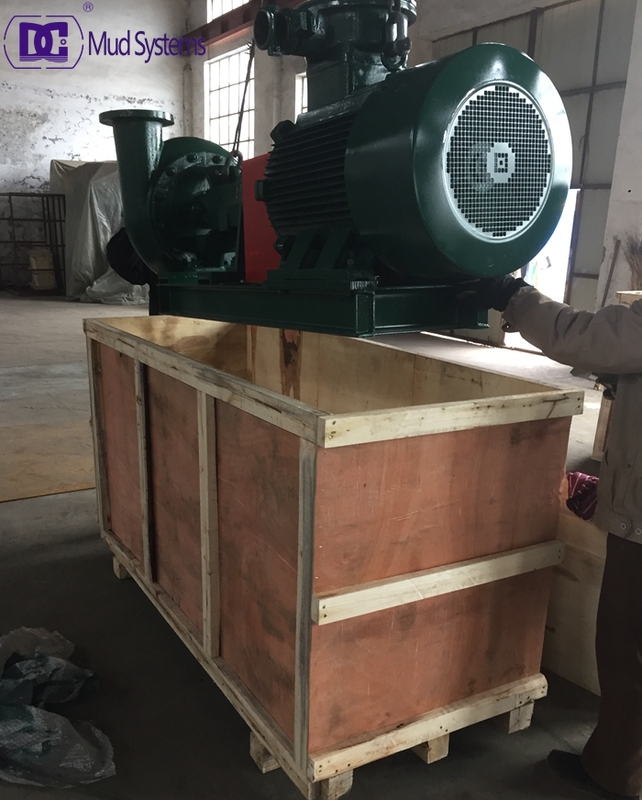 Vetical sand pump in drilling mud circulation system is usually submersible pump,it usually used to feed drilling mud decanter centrifuge,and sometimes also used to feed mud cleaners,desanders,desiters. Contact DC office please, if you have interest with any feeding pumps. 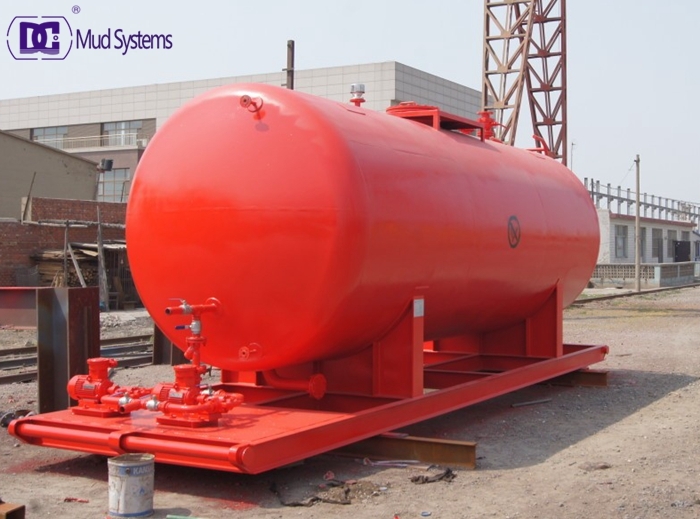 A mud tank is an open-top container, typically made of steel, to store drilling fluid on a drilling rig. They are also called mud tank mud pits, because they used to be nothing more than pits dug out of the earth. 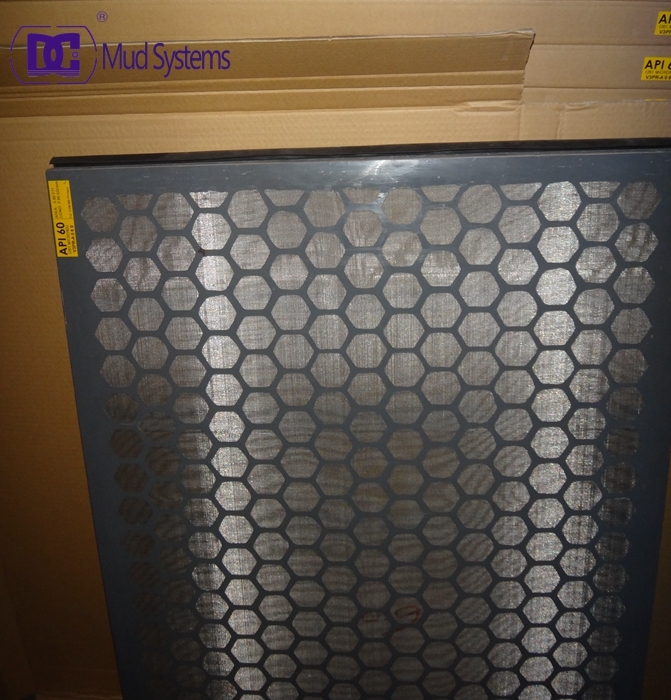 DC Solid control produced 4 sets mud tanks and matched 4 sets mud agitator for each tank. The surface of tank is equipped with water pipeline for cleaning the surface and equipment on the mud tank, we use soaked zinc processing for the netted steel plate. The ladder is made of the channel steel to take responsibility the body, the foot board is made of the linearity netted steel plate. The two-sided guard rail are installed the safe suspension hook. The mud tank is designed the standard shanty to prevent the sand and the rain. The pipeline is installed in the tank to preserve the warm air heat. 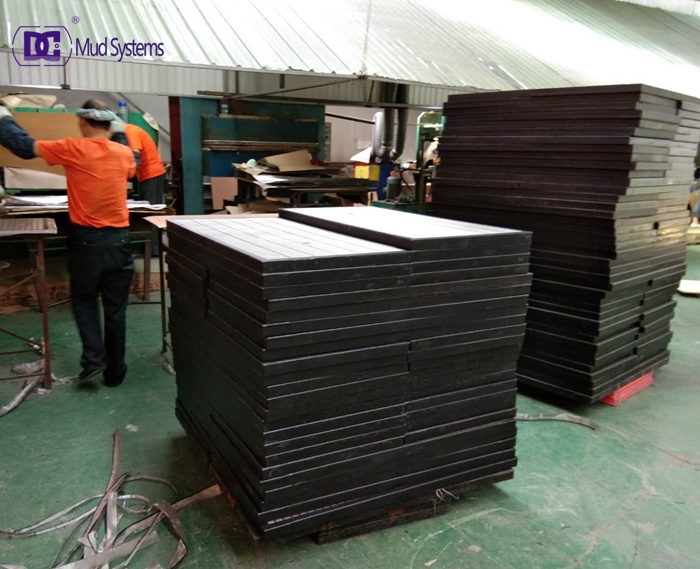 So buy Mud tank from us you will enjoy high quality but Good price.We are professional in manufacturing solids control system,so our mud tanks design are very compatible for mud circulation system using. Oil Field Tanks are supplied with steel cradles and cages access ladders. 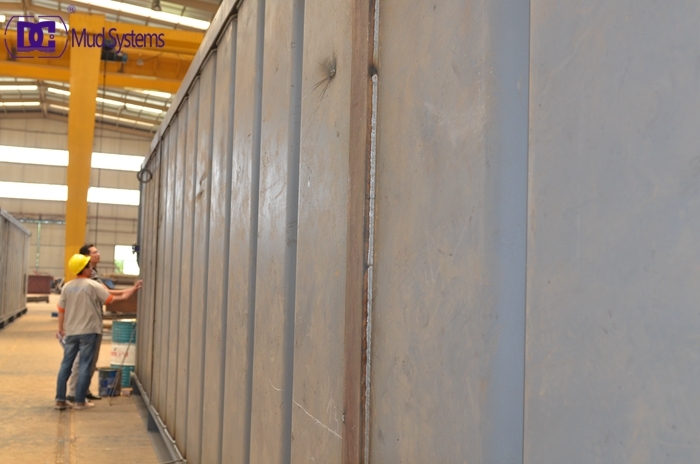 Optional products include manholes, bottom fill kits, self closing gates, flame arrestors, emergency vents, pipe work and fitting locations as required and various coatings both internal and external. Sizes can designd according to users request. Suitable for Petroleum, Petrochemical and Industrial applications. 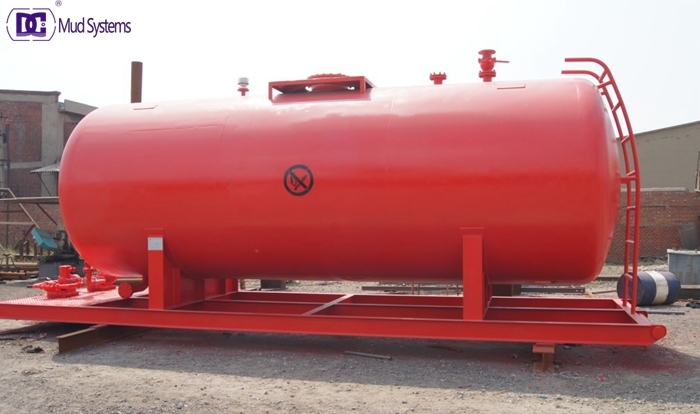 DC Solid control offers prospective buyers an extensive selection of quality new oilfield equipment, including Oilfield Diesel Fuel Tanks to choose from at competitive prices. For more information give us a call email us. Mud Desander also called Desander. 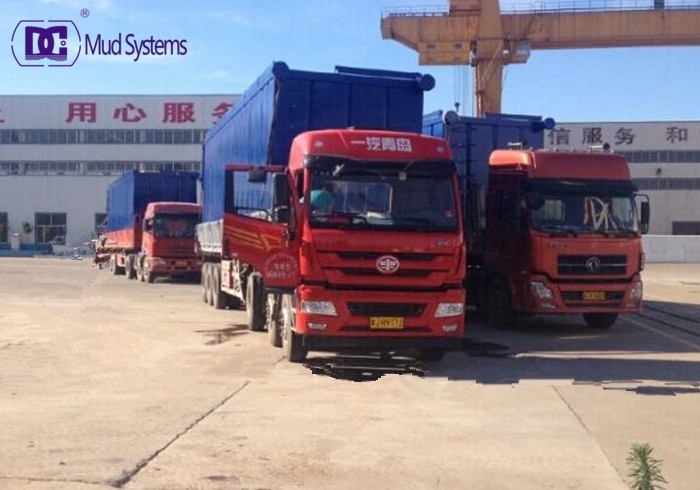 It is composed of hydraulic desander hydrocyclone, shale shaker and cyclone pipe. 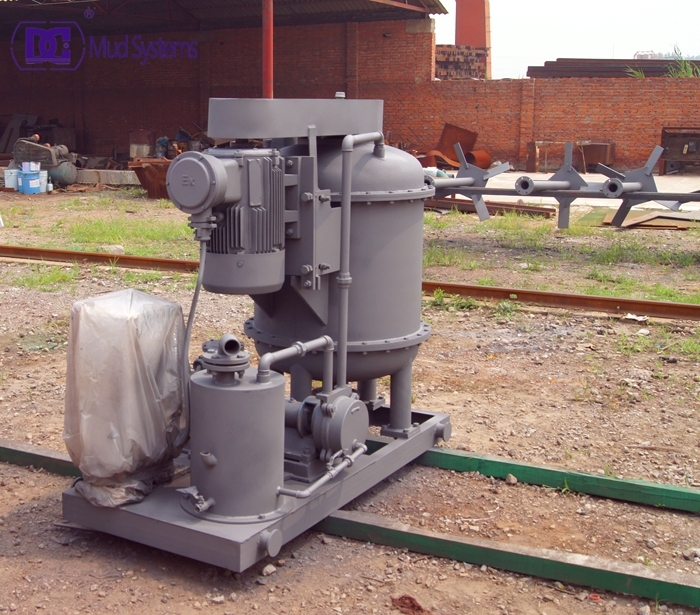 Mud desander is widely used in HDD, CBM, water well drilling, building construction and ect. Desander uses centrifugal force to separate. 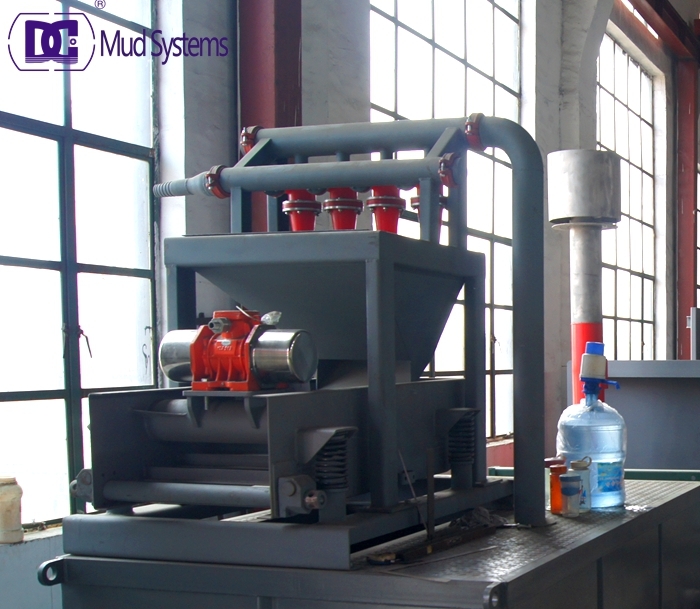 Desander uses centrifugal pump to supply mud, then the mud flow into hydrocyclone along tangent of cyclone, and the mud’s structure was destroyed under the action of centrifugal force. Under the action of gravity, solid particles along the inner wall sink spirally and was discharged from the bottom of cyclone then falls on the following shale shaker, liquid was discharged from the top of the cyclone. Desander unit that efficiently removes sand and silt-sized particles down to a 70 micron cut. 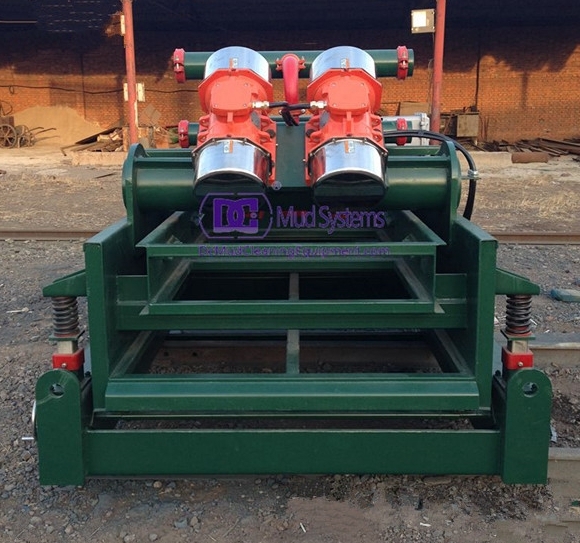 Customized mud desanders are available depending on the volume of the mud being cleaned. 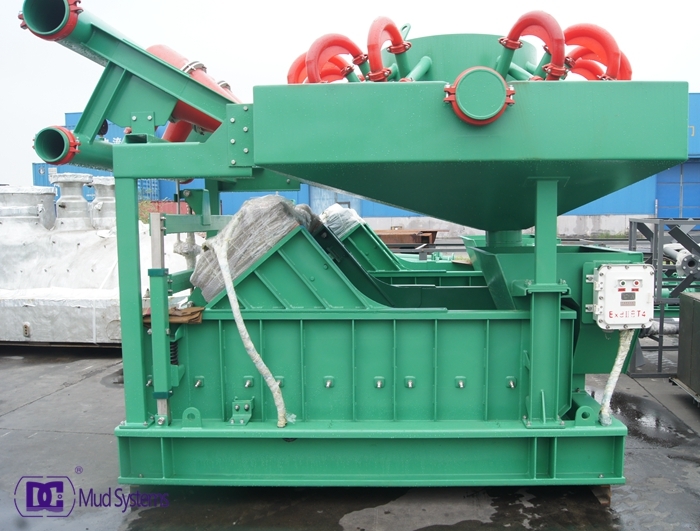 Mud cleaner is the second stage equipment of drilling fluid circulation system. 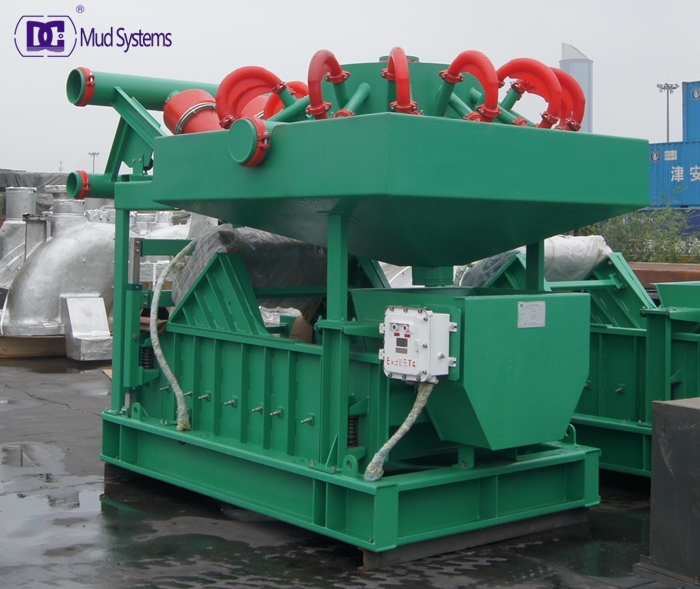 Mud cleaner is the combination of desander, desiter cones and and very fine mesh vibrating screens (120-400 mesh) to remove fine drilled solids while returning valuable mud additives and liquids back to the active mud system. Mud cleaners were developed in the early 1970s to remove fine drilled solids from weighted mud without excessive loss of barite and fluid. They have also proved valuable tools in closed systems and other dry location applications. Traditional mud cleaners use multiple 4 or 5 cyclones, mounted over a vibrating screen, and are able to effectively process 400-600 GPM. The process capacity is limited by screen capacity and its ability to discard dry solids. tests including chemical immersion testing in fluids such as diesel, alpha-olefin, calcium chloride, caustic soda and kerosene. In all cases, one manufacturer’s polyester, powder-coated screens demonstrated environmental exposure resistance when compared to other screens. The API screen designation is the customary standard for the identification of screen panels in the industry. Before the API RP 13C standard, a huge disparity existed in screen designations, which caused confusion for end users.